This amazing townhouse in Deer Creek has it ALL. Completely remodeled from the studs up. High-end wood floors on main level. All new kitchen, granite, SS, sink, disposal, fixtures. Remodeled bathrooms. Huge walk-in closets with each bedroom. Custom built cabinetry-kitchen, great room, media shelves. Basement has been recently finished with new carpet, drywall, bathroom, lighting. Bedroom can be easily added. Den. It's FLAWLESS. HOA maintenance free living includes roof, lawn care, snow removal. Just turn the key! 69 S to East on 135th St. North on Metcalf to 133rd St. East to Walmer, South to 133rd Terrace. Overland Park is located in Kansas. Overland Park, Kansas 66223 has a population of 186,515. The median household income in Overland Park, Kansas 66223 is $72,231. The median household income for the surrounding county is $75,017 compared to the national median of $53,482. The median age of people living in Overland Park 66223 is 37.7 years. 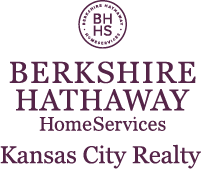 I am interested in 6403 W 133rd Terrace, Overland Park, KS 66223.